The new 3did website is now online! 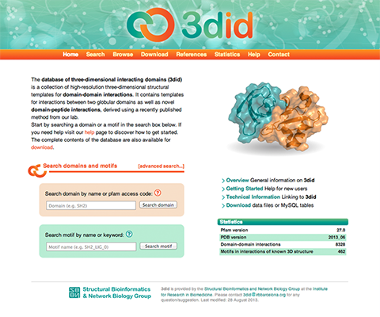 The database of three-dimensional interacting domains (3did, http://3did.irbbarcelona.org) has been updated with a completely new interface that is more intuitive and easier to query and browse. Check it out at http://3did.irbbarcelona.org and read the publication in Nucleic Acids Research.